Father's Day is two days away (June 18th; this Sunday!) and if you're like me, you're scrambling right now. My fiance is, by far, the toughest person to shop for because if he likes something, he gets it. If he doesn't, he doesn't. He has a huge range of hobbies but always seems to have what he needs for them already. In short: SO FRUSTRATING! 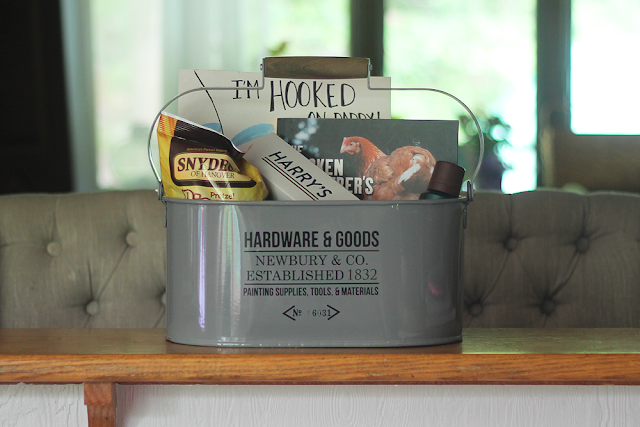 That's why this year, I'm putting together a really cute, great last-minute gift toolbox that is so easy to recreate and contains a few things that any dad would love! Tool Box - This one is from Marshalls but you can find great, cheap alternatives at Home Depot, Walmart or Harbor Freight. A great alternative to a tool box could be tackle box if your guy is into fishing! Card - As much as I love my fiance, he not really a card person but loves anything our kids make him so we go the home-made card route and it's a win/win. Snacks - Honestly, what guy (or person in general) doesn't like snacks? Twizzlers, chips, beef jerky - all great things to stuff in there! Books, knick knacks, etc. - If you don't follow me on SnapChat, we recently got chickens to help with our ridiculous tick problem (and also, fresh eggs, yes please!) so this book totally works for him. 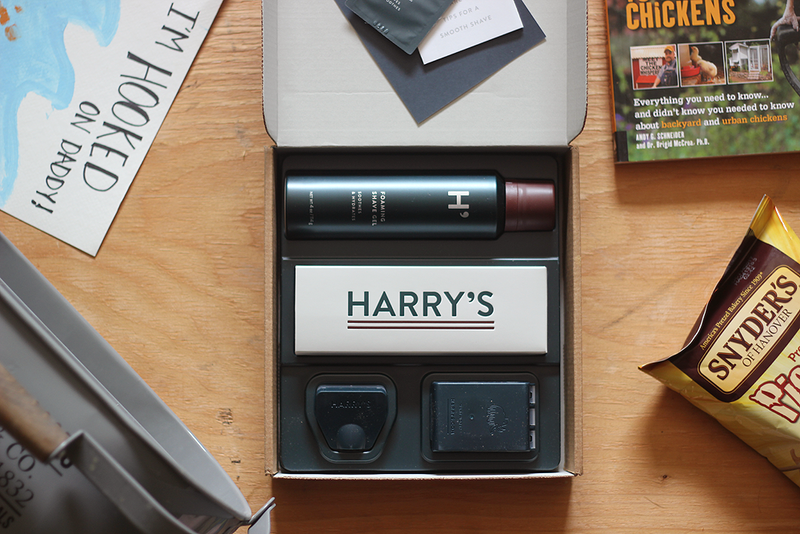 But if your guy isn't into books, some other great options are: video games, cologne, grilling tools, scratch offs, etc. 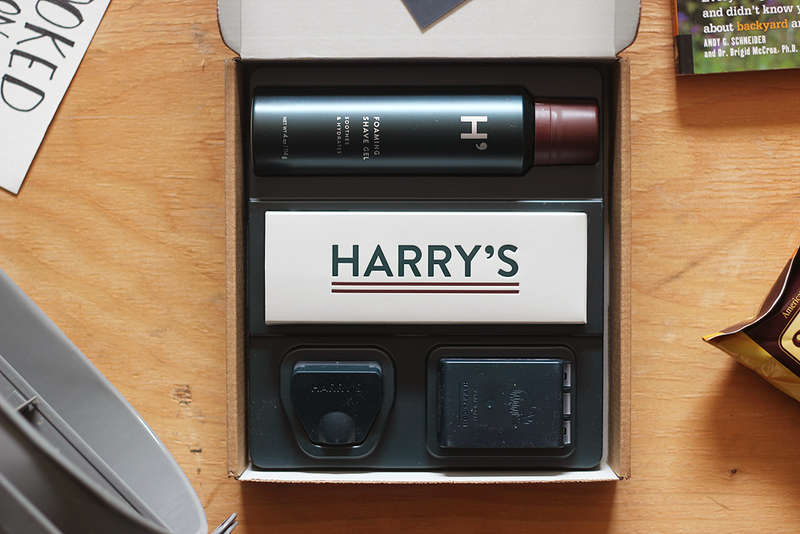 Harry's Winston Set ($25) - If you're still stumped for the main gift in the toolbox gift set, look no further! 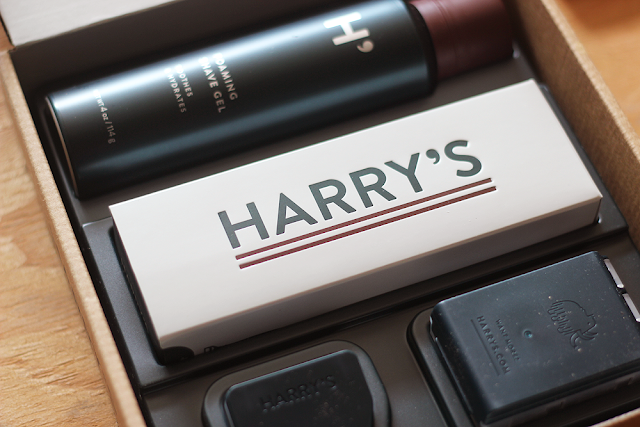 Harry's Winston Set is absolutely gorgeous and comes complete with everything a guy with hair (ie: all of them) could ever need: one Winston razor handle, three German engineered blade cartridges, one travel blade cover and your choice of shaving cream or foaming shave gel. Plus, orders over $10 ship free! Place everything in the toolbox (or tacklebox!) and you're good to go! How are you celebrating Father's Day? * Harry's Winston Set sent for review. Online gift cards are the perfect way to keep the personal touch of the gift alive, while still giving the receiver the option to purchase gifts voucher codes, something that they'll truly love. Millions of people buy gift cards each year and millions of happy people receive them.